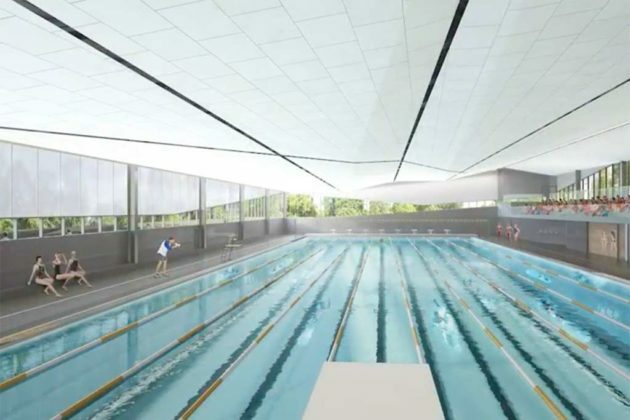 Arlington County Manager Mark Schwartz is recommending a “simple and efficient” design for the Long Bridge Park Aquatics Center. 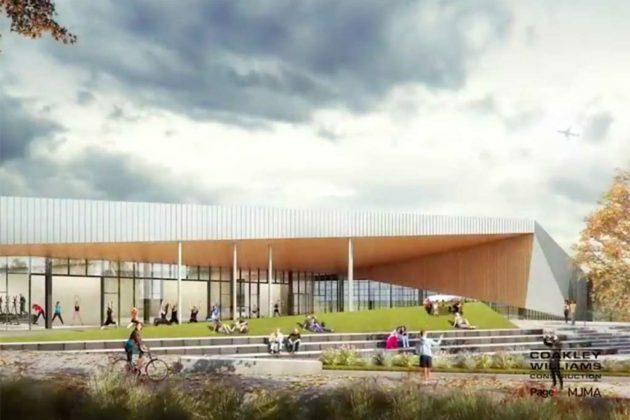 Schwartz recommended late last week that the county hire Coakley & Williams Construction, Inc. for the project, one of four contenders for the design and construction of the revamped center at 475 Long Bridge Drive. 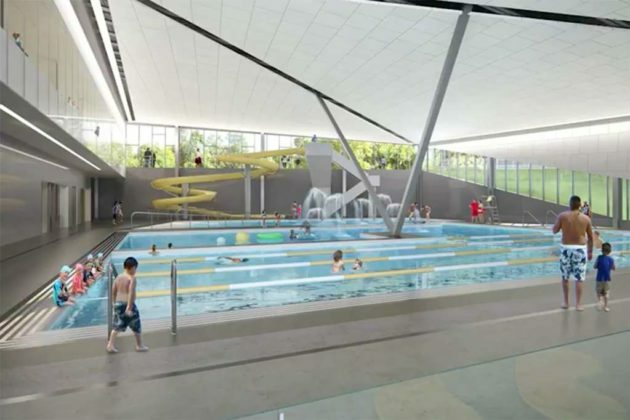 The new facility will have a 50-meter pool, diving towers and a family pool as well as spaces for health and fitness and public events among others. The construction contract is worth $54.7 million, with $5.3 million in contingency funding in case of overruns. 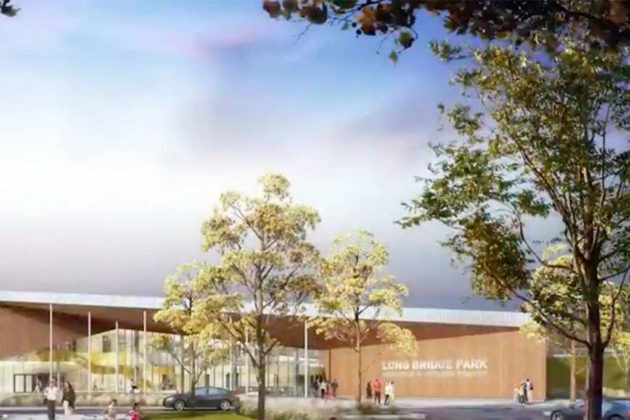 The design received the backing of the Friends of Long Bridge Park, a local group that looks to support and improve the park. It is needed. The Long Bridge Advisory Design Committee and County staff completed several studies that showed the needs of Arlington County are not being met. For example, currently all elementary and middle school students must learn swimming at one of the high school pools. The amount of teaching time is limited. If you have limited means and wish to swim, you have limited options, as all outdoor bodies of water like the Potomac River are unsafe to swim. The Esplanade needs to be extended to provide a longer place for walking/running and general passive activities. Over 20,000 people live within walking distance to the park and with the office and hotel populations, the demand for simple recreation is high. The cost of the project is capped. The design/build method specifically provides a budget and any overages are the responsibility of the contractor. While the design of Phase 2 has focused on meeting the needs of Arlington County residents, there is a benefit to office buildings, hotels and tourists. All of these produce taxes that pay for schools and other amenities. For example, one hotel has already created ads to come to Arlington because of the Fitness and Aquatics center. In addition, more than one office tenant has signed a lease because of Long Bridge Park. A facility like this is required to attract top talent. Arlington cannot afford to ignore the infrastructure that is necessary to attract office tenants. The Board will vote on the project at its recessed meeting tomorrow (Tuesday).